This movie could have been called Attack of the CGI. The original trilogy had a rough appearance that led to its charm and the fact that everything seemed “cobbled” together also made it feel authentic. It is well documented that George Lucas embraced the advance in CGI and made changes to the original trilogy but so far, Attack of the Clones is the movie that suffers from CGI over-use the most. Never have I seen a movie so plainly green-screen throughout. Everything feels too shiny and the fact that in some cases you can actually see that the actors are not in their environment removes you from the experience. Add to that the influx of CGI characters. Yoda is most notable and although for some of the later scenes he clearly needed to be fully CGI, the character definitely loses some of his charm now he’s not a puppet. A movie relies on much more than CGI to be a success though. The movie needed good characters and story to improve upon the poor first instalment in the prequel trilogy. Attack of the Clones is a film of two halves though, the first half being the poorer of the two. It seems Lucas has never been strong on creating definitive stories and the slow-build of the love story between returning Natalie Portman’s Padme and Hayden Christensen’s adult Anakin takes forever to develop. Luckily it is punctuated with the much improved Obi Wan-Kenobi taking on a rogue bounty hunter in one of the better action sequences. The protruded love story isn’t helped by the fact that Hayden Christensen isn’t up to the task. For the fall of Anakin Skywalker to be a grand story, you need to believe in the good natured, heroic Jedi that will become evil. Christensen’s Anakin is never likeable or that heroic and the foreshadowing of his downfall is done far too early. In some cases, when falling in love with Padme, Anakin comes across more creepy than besotted. Luckily, Attack of the Clones somewhat redeems itself for the final act. Star Wars has always relied on great action over deep and powerful story and the finale doesn’t disappoint. Starting with a daring rescue of Ewan McGregor’s Obi Wan, we get an imaginative gladiator sequence, a daring battle which features an army of lightsaber wielding Jedi and then finally the customary lightsaber duel between villain Count Dooku and the principle heroes. This final sequence also brings with it a misstep though as Count Dooku had the benefit of being played by one of cinema’s greatest villains, Christopher Lee, but he isn’t utilised and gets minimal screen-time. The initial lightsaber fight is a good one, with a decent blend of stuntman and Lee to create the battle but when a pint-sized Jedi shows up, CGI takes over completely and what should be a really cool moment feels too fake and cartoon-like. 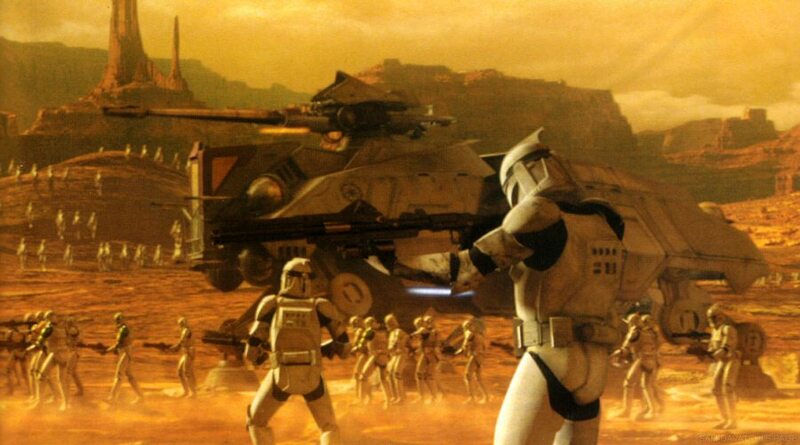 Overall, Star Wars: Attack of the Clones suffers from over-reliance on CGI. It never feels like the authentic world that Lucas created with his original trilogy. The story lacks any pace and is damaged more by Hayden Christensen who doesn’t convince as the central character. Luckily, great action sequences in the final act and a much improved Ewan McGregor as Obi-Wan Kenobi save this film from being as poor as the first. Anakin came off SO creepy with Padmé. It is his creepy look he gives her early on. It sends chills but for all the wrong reasons! And she still went for it! What the?! ?